There are a total of eight different classes. Each day, students take four classes, with alternating daily schedules. There are four days of classes (Tuesday, Wednesday, Thursday, Friday), so each student has each class twice. So on Tuesday and Thursday you have the same schedule, and Wednesday and Friday, the same schedule. All students take all 8 classes, though the expectations for the older students may vary from those for the younger ones. The last class of each day is an elective block, with unique subjects, activities, or excursions that students can sign up for during lunch each day. Rune Lore: A look at Futhark runes, bound runes and other runic languages. Explore what a rune is comprised of, inscribed upon, and inscribed with, and which runes to use for desired effects. Healing: Practical course in how to diagnose and treat magical maladies and mishaps. Includes spells for healing trauma, antidotes for curing poison, and an in-depth look at the potential for mundane medicine to be combined with magic. Divination & Arithmancy: A study of sensory perception through various types of divination such as palmistry, phrenology, astrology, tarot, using a scrying orb, tea reading, geomancy, and dowsing. Also delves into the power of math and numbers to determine meaning and divine past and future events. Alchemy: This course covers the distillation of magical ingredients into components to create draughts that produce the desired effects. 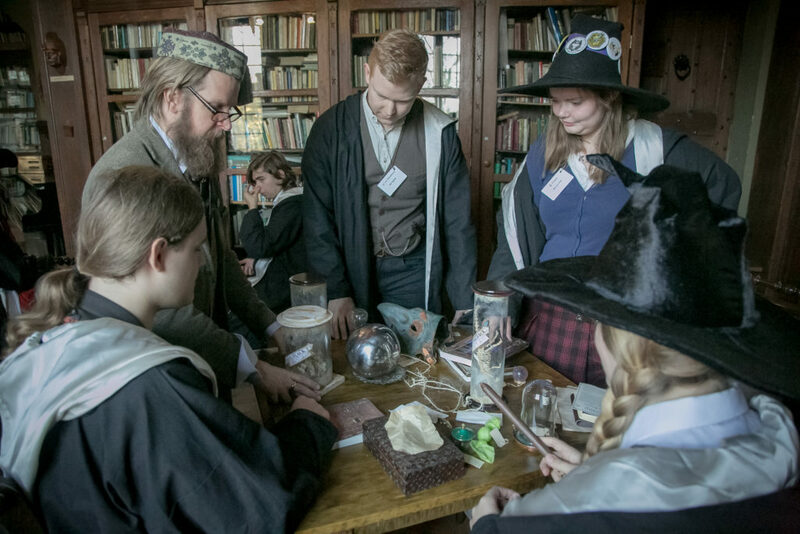 A hands-on course that will be evaluated based on the efficacy of your potion. 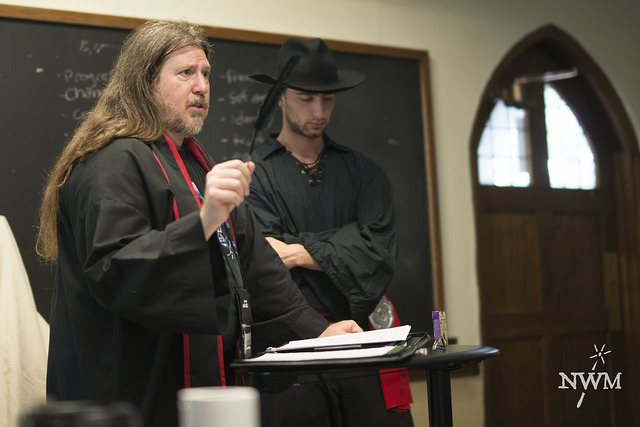 Magical Combat & Defense: this course focuses on physical training and offensive and defensive spellcasting to help wizards prevail against a variety of villains, monsters and cursed objects. 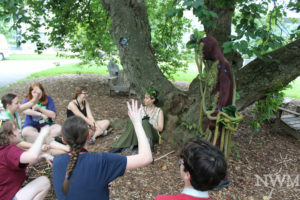 Students encounter a tree spirit in cryptozoology. Cryptozoology: a study of the unique magical creatures and their preferred habitats as well as the unique properties of magical creatures and their unusual adaptations. Herbology: A study into both the ecology and properties of magical plants. Includes hands-on work with parabotanical specimens as well as plant identification, harvesting, care, distillation and theoretical work about the magical and medicinal properties. Rituals & Evocation: The basics of creating a magic circle, opening and closing a ritual, and combining magical energies to protect, heal, summon, banish, and more.